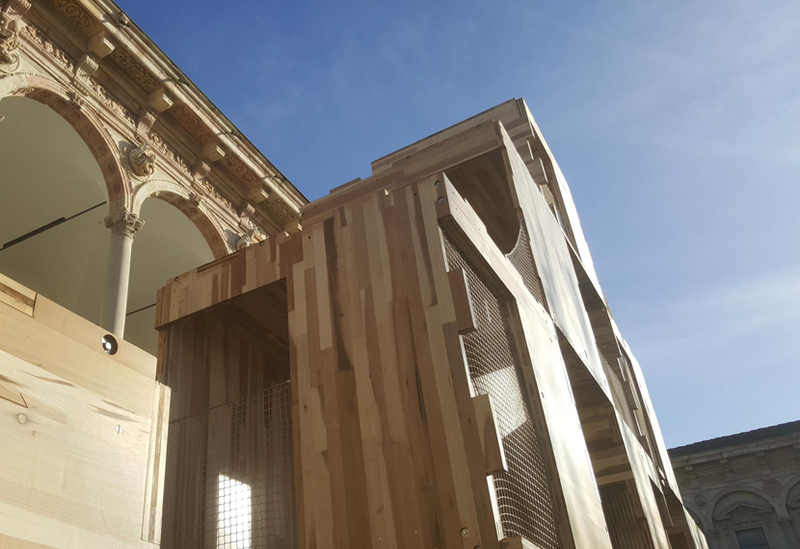 Our crew have recently returned from Italy where as part of Milan Design Week they reinstalled the MultiPly pavilion in the historic courtyard at the University of Milan. MultiPly is an ingenious structure. Designed by Waugh Thistleton Architects, it was conceived to be both sustainable and flexible and lives up to both ambitions. 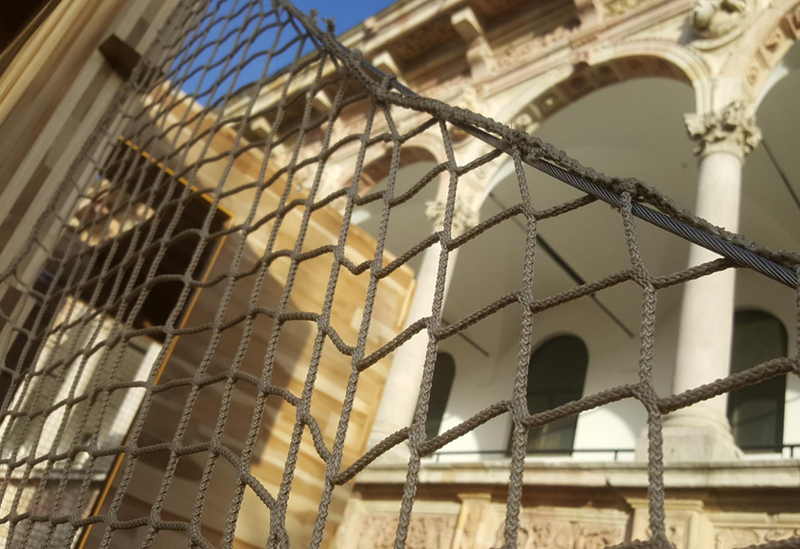 Last year, we manufactured and installed the modular structure in the Sackler courtyard at the V&A where it featured as one of six Landmark projects. Easily adaptable, the system has been reconfigured specifically to fit the location in Milan where it forms part of the Human Spaces exhibition. 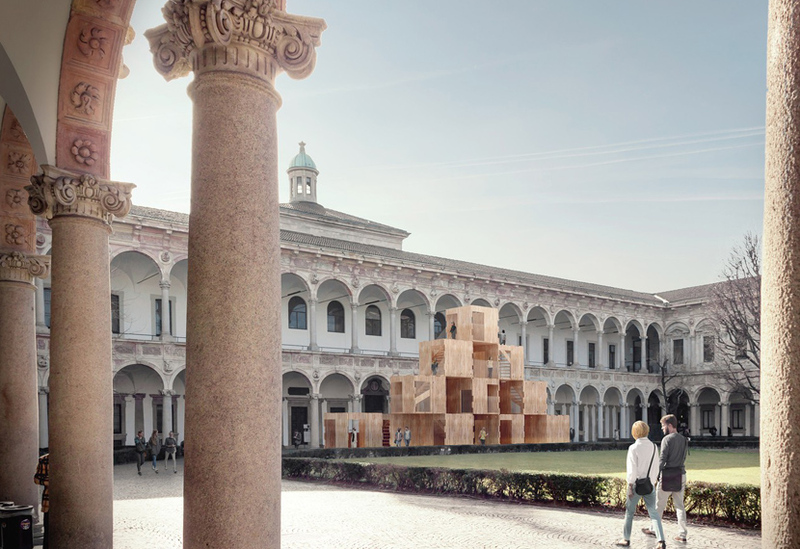 MultiPly comprises seventeen modules, all manufactured in our workshops from one hundred and eleven panels of cross-laminated timber (CLT), in this case, American tulipwood. 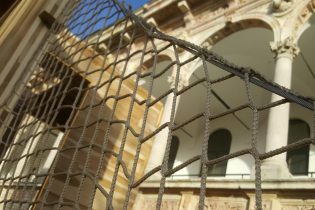 The installation aims to encourage visitors to re-think the way homes and cities are designed and built. 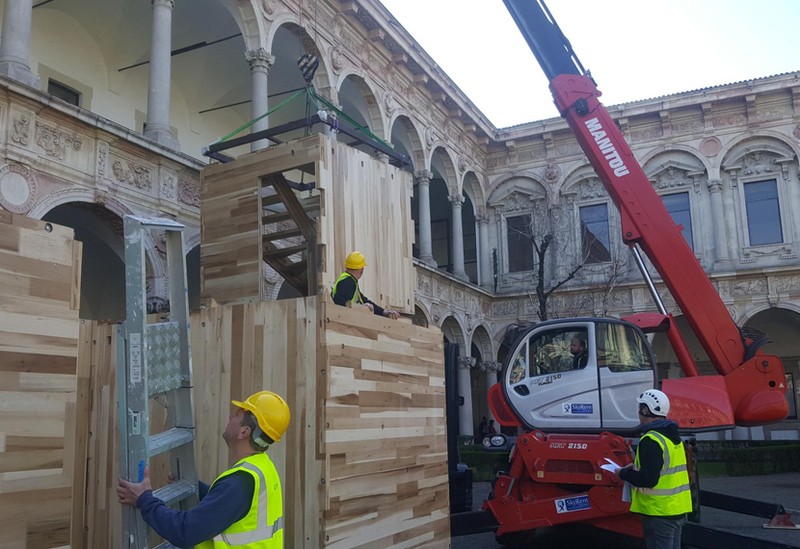 The CLT panels are sustainable and strong, while the modular system allows for multiple re-configurations. 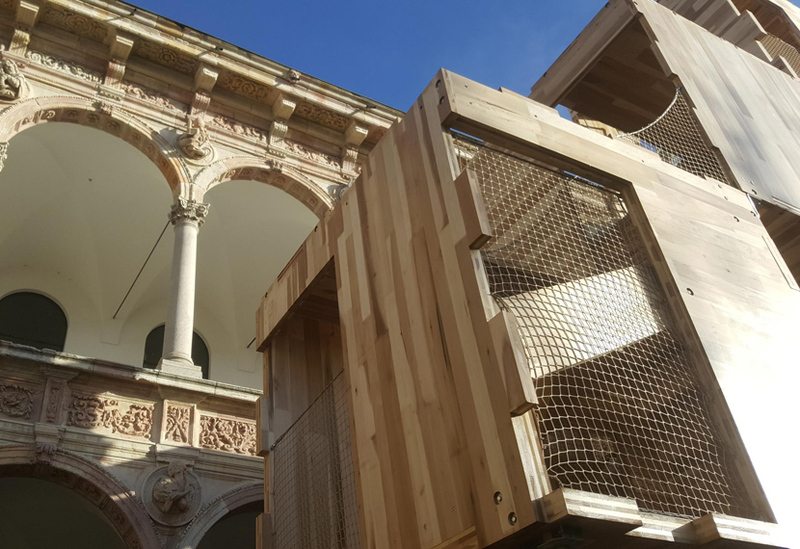 The stackable units create a maze-like series of spaces linked by stairs and bridges that offer unusual views and perspectives. 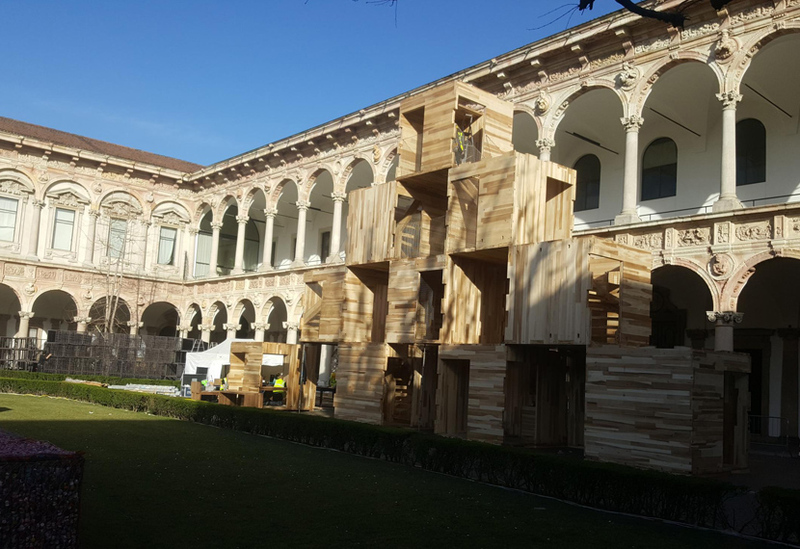 Waugh Thistleton Architects are renowned as world leaders in engineered timber and tall timber buildings and MultiPly is well worth a visit if you’re in Milan. The structure will be touring other locations in the coming months.